It is public knowledge that two well-known customers of Deutsche Bank have deals considered sensitive to scrutiny. One is Donald Trump. The other is—or was— Adnan Khashoggi. 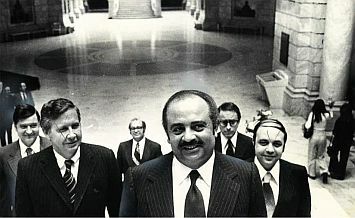 The death of Saudi arms dealer and CIA fixer Adnan Khashoggi in London two weeks ago reminds the world again about Adnan Khashoggi’s rich history with fellow Palm Beach ‘homie’ Donald Trump. Not just in yachts—as interminably reported in obituaries— but in banks. 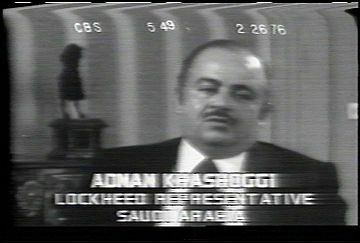 Khashoggi spent 40 years in the intermittent glare of worldwide publicity, from the Lockheed bribery scandal in the 1970’s, Iran Contra in the 1980’s and BCCI, the Bank of Crooks & Criminals, in the early 90’s, to name just a few. 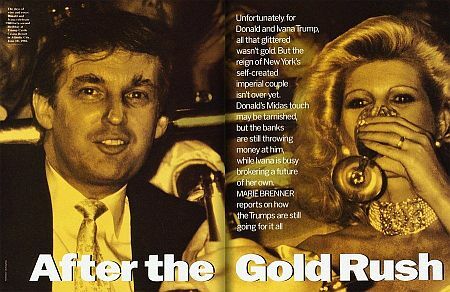 Had he lived a bit longer, he would likely become famous again, especially if Deutsche Bank continues to stonewall the Congressional probe into why the bank—alone among major banks worldwide—was willing to loan $300 million dollars to Donald Trump, a man who’d stiffed investors by declaring bankruptcy six times. 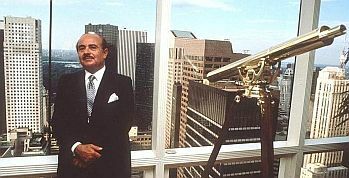 On the other hand, Adnan Khashoggi’s business dealings with Deutsche Bank—except in certain circles—are not. The urgency of such an investigation was made clear in today’s Washington Post report detailing how Deutsche Bank gifted Trumps son-in-law Jared Kushner with a $285 million loan just one month before Election Day. This wasn’t Adnan’s first rodeo. Journalists who track the underhand dealings of international fraudsters have long been well aware of Khashoggi and his assorted partners in crime, including infamous stock fraudsters in Vancouver. Khashoggi, an acknowledged stock fraud master, ran an intricately planned and spectacularly-successful pump and dump scheme that, with assistance from the Russian Mob and the Mafia—two organizations who also partnered with Trump—stole more than $300 million in just a few years. Khashoggi and Deutsche Bank partnered in what became called the Stockwalk scandal, colluding in what were, financially-speaking, more innocent times. 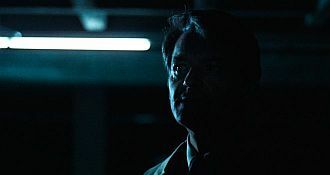 Stockwalk was called “the most massive stock fraud in American history,” and it became the largest liquidation of a securities firm in U.S. history. It was basically an ingenious financial game of musical chairs, during which Deutsche earned sizable fees, passing around stock normally settled in boring brokerage back offices as a bookkeeping function. Only this time, the brokerage left standing when the music stopped, Minneapolis’ Stockwalk Group, was left holding $200 million of worthless stock in a Khashoggi company called Genesis Intermedia, now worth just pennies. Earlier Genesis stock had been pumped up as high as $26 dollars a share by Khashoggi’s cronies, before everyone in on the joke cashed out and went home. When the scam collapsed in 2001, the poor Minneapolis brokerage filed for bankruptcy and went under. 200 employees lost their jobs. Khashoggi and his chief lieutenant, Ramy El Batrawi, went home at least $130 million dollars richer. Deutsche Bank’s little Khashoggi indiscretion cost the bank a record $280 million dollar fine in the U.S. The bank settled shareholder lawsuits worldwide out of court, paying $350 million dollars in cash, while nonetheless denying responsibility. U.S. officials scoffed at the bank’s claim of innocence. They became the object of what—with hindsight— was doubtlessly a half-hearted search. Even so, finding Khashoggi and his chief lieutenant proved elusive. Later, a Palm Beach resident who’d clashed with Trump over Indian gaming (which Trump at the time was against) told me the rumor locally had been that Khashoggi, also wanted at the time in the collapse of a bank in Thailand, was hiding out in a bungalow at Mar-a-Lago. 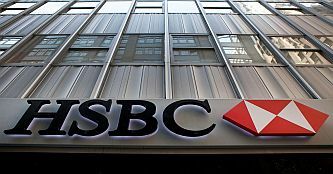 Germany’s Deutsche Bank has been in a race with HSBC Bank in London for the title of World’s Biggest Criminal Bank, based on the size of fines each pays to host governments who—who knows?—may even be mildly chagrined at being unable to bring individual bankers to justice. 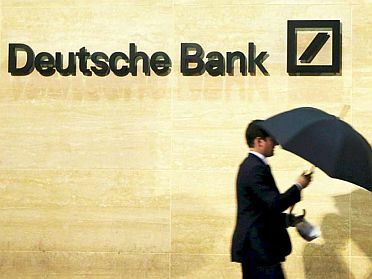 Deutsche Bank has paid more than nine billion dollars in fines and settlements since 2008. The bank paid up after getting caught conspiring: to manipulate the price of gold and silver; defraud mortgage companies; violating U.S. sanctions against illegal trading; more. 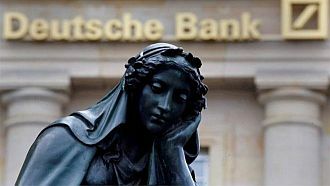 Deutsche Bank’s own staff blew the whistle in 2010, accusing the bank of masking twelve billion dollars’ worth of losses. One of the whistleblowers, a former risk analyst, told the Securities and Exchange Commission that if the bank’s true financial health had been known in 2008, it might have collapsed. In January, Deutsche Bank agreed to pay $630 million in fines over a sophisticated-yet-simple money laundering scheme called mirror trading, used to launder—just in recent years—more than $60 billion out of Russia. Lawmakers are seeking information about Deutsche Bank’s latest scandal: a Russian “mirror trading” scheme that allowed $10 billion to flow out of Russia in sham trades. One Deutsche customer would buy Russian stocks for rubles, while selling an identical amount of stock to a related customer for dollars. It was instant money laundering. No need to add water. What happens if they come for the furniture? There’s an unexamined downside in demanding explanations from Deutsche Bank for its unexplained benevolence towards Donald Trump, the ominous prospect that during Trump’s however-brief time in office, the American people will endure a national embarrassment unequalled in history. Because he was desperate for money, in his loan dealings with Deutsche Bank Trump broke one his own cardinal rules. Gulp before you read this: he personally guaranteed the loans. Donald Trump is personally on the hook to Deutsche Bank for roughly $300 million. The debt—on a Florida golf resort, a Washington D.C. hotel and a Chicago tower—is currently being paid. But if the loans default, the bank could go after Trump’s other assets. Americans may be witness to the horrible spectacle of watching a bank foreclose on a sitting President of the United States. 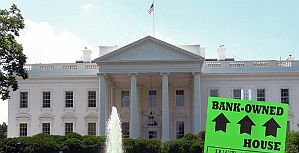 The White House, at least currently, appears to be safe. Deutsche Bank is desperately trying to keep the money train running from Moscow to New York (and perhaps to Donald Trump), in the face of demands by Democrats in Congress for Trump’s banking records. Deutsche Bank politely demurred, claiming privacy laws prevent turning over records of loans made to Trump of reportedly $300 million, with loan guarantees in excess of $1 billion. Here’s an anecdote that may help explains the Trump-Russia investigation, and it’s not even about Trump. It’s about the wife of Raul Salinas, the brother of Carlos Salinas, the wildly-corrupt former President of Mexico, who was arrested in Switzerland on November 15, 1995. She’d been trying to withdraw $84 million from a safe deposit box at a private bank in Geneva. A Swiss police official asked why’d made herself conspicuous. Why was taking so much at once, he asked, instead of taking a little at a time? Daniel Hopsicker is an investigative journalist dubious about the self-serving assertion of U.S. officials that there are no American Drug Lords. 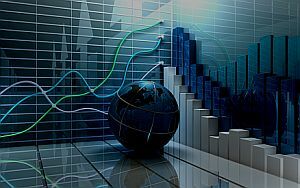 July 19, 2017 in WALL STREET: With Criminal Intent.